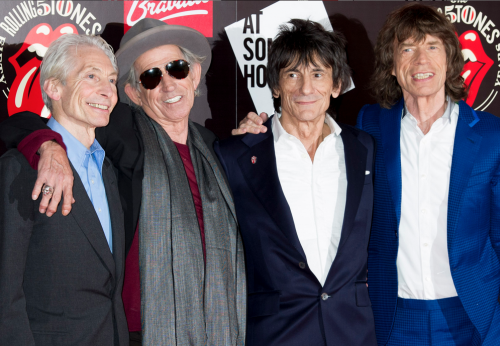 Over 1,000 people RSVP’d for an exhibition celebrating 50 years of the Rolling Stones on Tuesday. “A lot of them were turned away or forced to wait without ever getting in. It was a madhouse,” said a spy of the ­Hoerle-Guggenheim Gallery show at the Edition hotel. Artist Jumping Bull created a Stones tongue installation of Coke cans. A collector bought a Ronnie Wood guitar for $10,000, and a “tech CEO” offered $80,000 for one of the band’s Grammys. Also there were Mr. Brainwash, Harif Guzman and Scott Lipps.